Dubai is all set to welcome another iconic tower, this time, an architectural wonder in the league of Eiffel Tower in Paris and the city’s own Burj Khalifa. The design of the new observation tower, a futuristic structure to be developed by Emaar Properties in Dubai Creek Harbour, has been approved by His Highness Shaikh Mohammad Bin Rashid Al Maktoum, Vice-President and Prime Minister of the UAE and Ruler of Dubai. The new tower, designed by renowned architect Santiago Calatrava, whose accomplished works include the World Trade Centre Transportation Hub in New York, Chicago Spire Tower, Calgary Peace Bridge and the Olympic Sports Complex in Athens, will add to the glorious skyline of Dubai, while enhancing its civic pride. What is the value that such iconic structures add to the city’s property sector? Why are brilliantly engineered towers considered by developers as part of the master plans of their integrated communities, with governments extending their support to such monumental endeavours as part of their vision for the cities? The property market transactional data in Dubai shows that iconic structures contribute to appreciable gains in property value. This is highlighted by Burj Khalifa, which has created the ‘Burj Effect’ for the entire Downtown Dubai development as well as across the immediate vicinity of the 500-acre mega-development, and The Dubai Fountain. Emaar has promoted several of its residential buildings that offer direct views of Burj Khalifa and The Dubai Fountain as a strong value proposition. Several other developers, who have been building residential projects in the immediate vicinity have also cashed in on the ‘Burj Effect’, which continues to hold strong. According to market performance reports, residences and commercial properties located near iconic structures and/or with views of iconic structures such as Burj Khalifa and The Dubai Fountain are automatically worth up to 35 per cent more. The ‘Icon Effect’ has now further energised investor interest in the residential projects such as Dubai Creek Residences and Creekside 18, launched by Emaar in Dubai Creek Harbour. Hamptons has reported a significant increase in enquiries for Dubai Creek Harbour since the announcement of the new iconic tower in the same area. While this trend is universal, as iconic properties and locations tend to serve as magnets for investments, for Dubai, there is an added dimension. As celebrated architect David Adjaye has observed, urbanism in the Middle East region is not about objects but about space; icons such as Burj Khalifa and the upcoming tower at Dubai Creek Harbour create a unique space that is incomparable to any other part of the city. They also serve as a demonstration of the developer’s long-term commitment, which is a far-cry from how real estate builders earlier tended to focus on short-term profit and to maximize returns from investment. By creating an icon, the economic value of the property and the region is being lifted to unprecedented levels. And this does not come easy: Every iconic structure has a number of additional cost drivers such as their shape and geometry, construction methodology to be followed, the challenges in overcoming site constraints, environmental sustainability aspects and the structural solutions to be deployed. All these are often capital intensive. Yet by investing in such projects, the developers are declaring their intent to be a city’s development partner. Take for example, Downtown Dubai. The whole mega-development, anchored by Burj Khalifa, sits on a land that was once an abandoned army barracks, thus creating prime value for property and creating a new city hub. 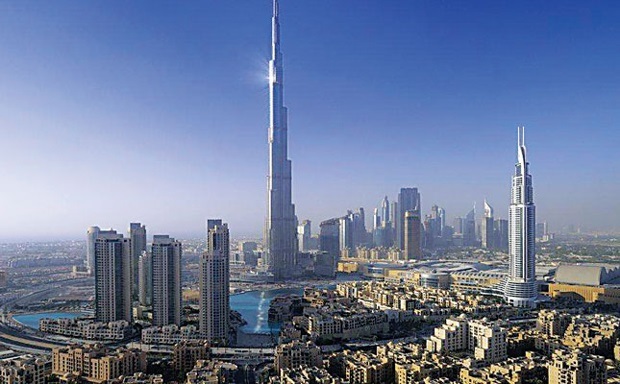 Icons, such as Burj Khalifa, demonstrate their long term role in energising the economy on the whole. The sustained growth in tourism, hospitality and retail, recorded in Downtown Dubai, owes to a great measure to Burj Khalifa. Ranked as the best attraction in the world by AttractionTix Worldwide Attraction Awards last year, Burj Khalifa has energised the local economy since its opening in 2010. Furthermore, The Dubai Mall – another iconic destination – has also contributed to increased value for property in the vicinity, while the value of its tenant sales today account for nearly five per cent of Dubai’s GDP. The appreciation in value of property adjacent to such icons is led by various factors including the confidence of investors in the long-term gains that their property offers. Homes with commanding views of Burj Khalifa will continue to wear a charm making them attractive for prospective buyers as well as for potential tenants. Prospective tenants tend to value the additional value propositions introduced by developers. For example, the newly launched Dubai Creek Harbour has a strong value element in its 18-hole championship golf course. The Palm Jumeirah has benefited from the value add offered by The Atlantis Hotel, while Jumeirah Beach Residence gains traction from The Walk and The Beach developments. City Walk by Meraas Holding has contributed to enhancing residential property value in the vicinity. Dubai Marina benefits incredibly from its waterfront location, Dubai Marina Yacht Club and Dubai Marina Mall. The new tower in Dubai Creek Harbour is thus uniquely positioned to be the next significant landmark in the city that can catalyse the property sector and create a new demand shift, further defining the value that iconic developments bring in energizing the market and creating long-term value for the entire economy.